Oliver embracing his Irish heritage by cuddling with his little sheep blanket. With the start of a new year and a new semester, change is in the air! A resolution is often what many people commit to, hoping that this change will create a better version of themselves. The most popular are often related to food and weight. Being a future registered dietitian, hearing people say that they care about their food and diet choices is music to my ears. Yet, hearing people start to dedicate their life to specific restricted diets or purchasing a service that guarantees weight loss, concerns me. Often at times, people set themselves up to unintentionally resort back to their old ways. Therefore, instead of jumping headfirst into something, why not try baby steps? Baby steps to incorporating more fruits and veggies. Baby steps to incorporating a mindful eating approach. Try to add veggies to two of your breakfast meals. – Starting off your day right can help jump start your metabolism and provide energy needed for a successful day. Meal prep for two days out of the work week. – Meal prepping can help reduce the stress of cooking after a long day and decrease the amount of mindless eating. Dedicate to eat one meal throughout the week with no distraction. – Mindful eating can help decrease distractions and tune into hunger and fullness cues. Reduce the time that you spend eating out to about once per week. – Not only is it expensive, but it also, decreases time spent making fun, healthy meals. Try one time of grocery shopping around the perimeters of the store. – Shopping the perimeters of the store helps increase your intake of fresh fruits and vegetables. Spending my winter break nourishing the youth. Overall, baby steps are the key to healthy, consistent lifestyle changes. 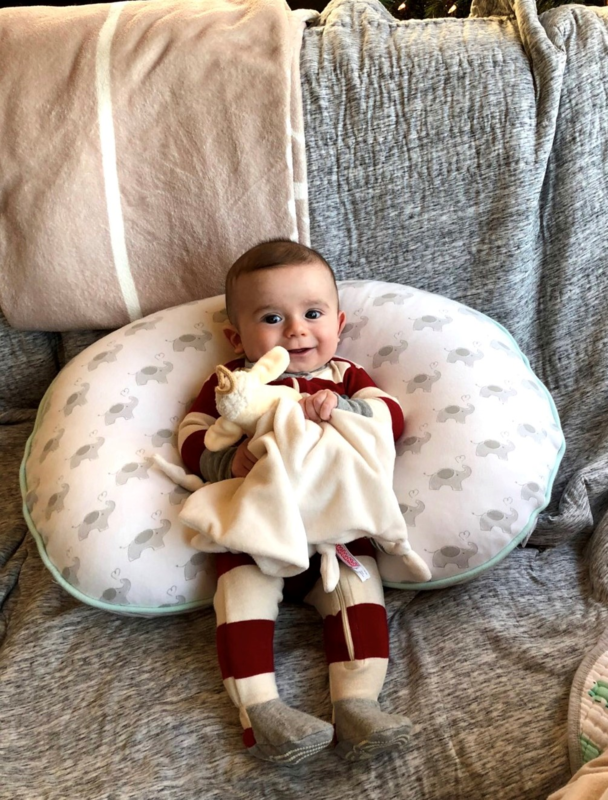 As you probably already noticed, I thought it would be appropriate to include my four (almost five) month old nephew within this post. Being a proud aunt and Godmother, I try to show him off as much as I can. So, what better way to talk about baby steps, then show a real life baby. Enjoy!